There is no denying the "cool" factor of Courtney Cox's Malibu, CA beach retreat, featured in this month's Elle Decor. The entryway definitely tugged at my heart strings. 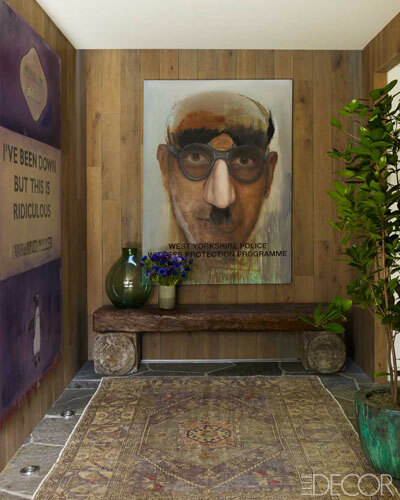 Interior designer, Trip Haenisch, combined paintings by Harland Miller mixed with a rustic bench and a Turkish rug to create a warm but modern expression on guests upon arrival.